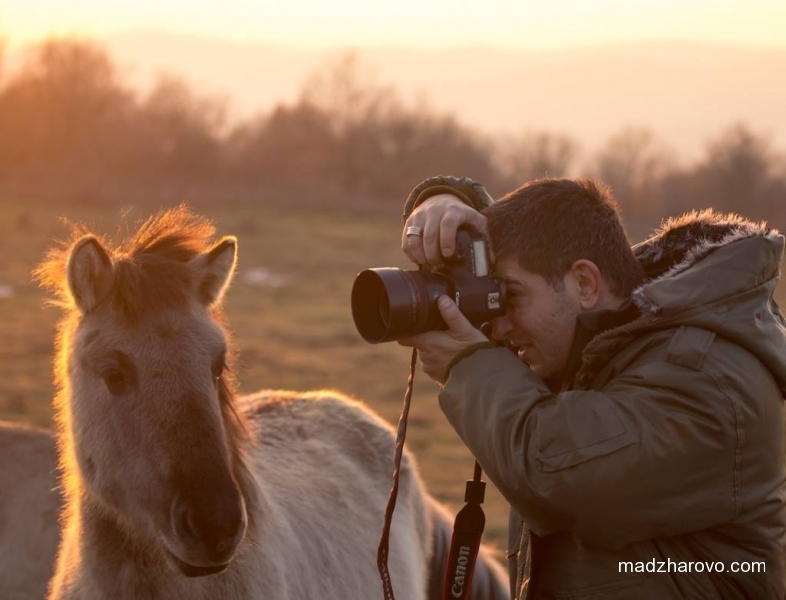 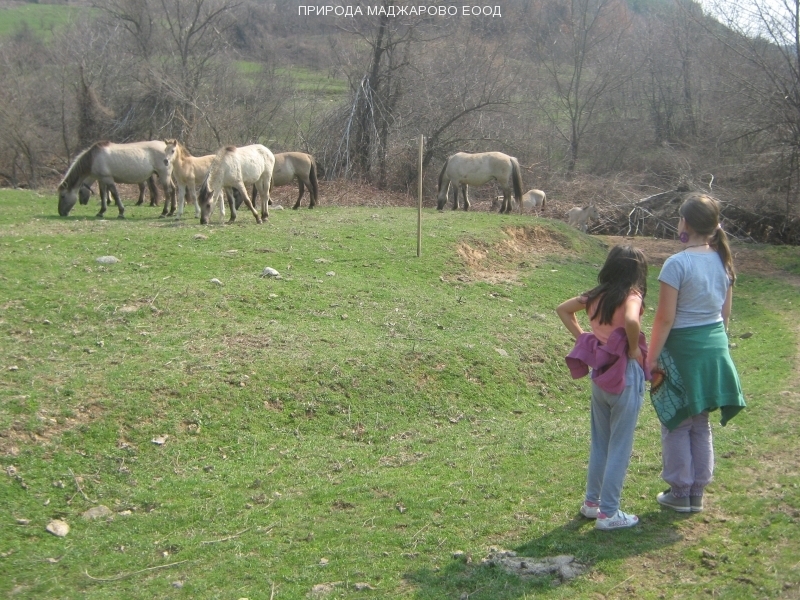 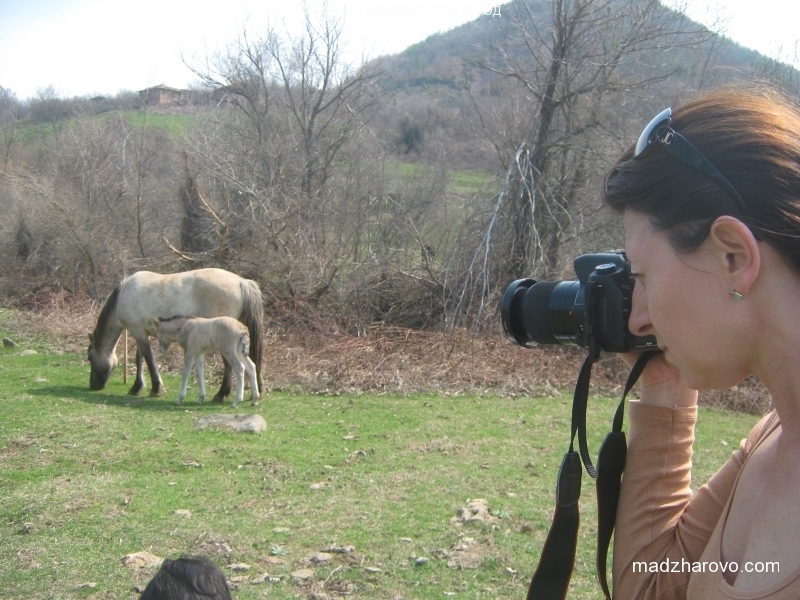 Meeting with the wild horses of the Eastern Rhodopes. 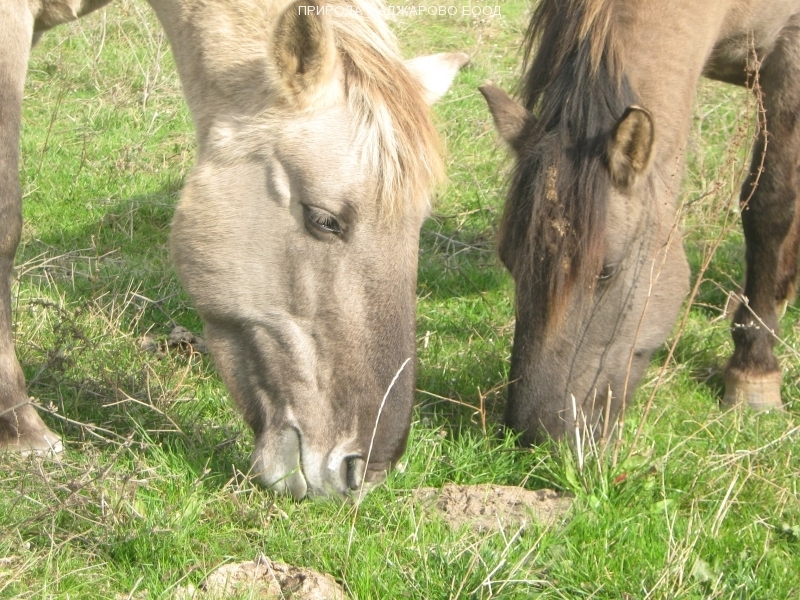 We offer walking tours in search of the wild horses. 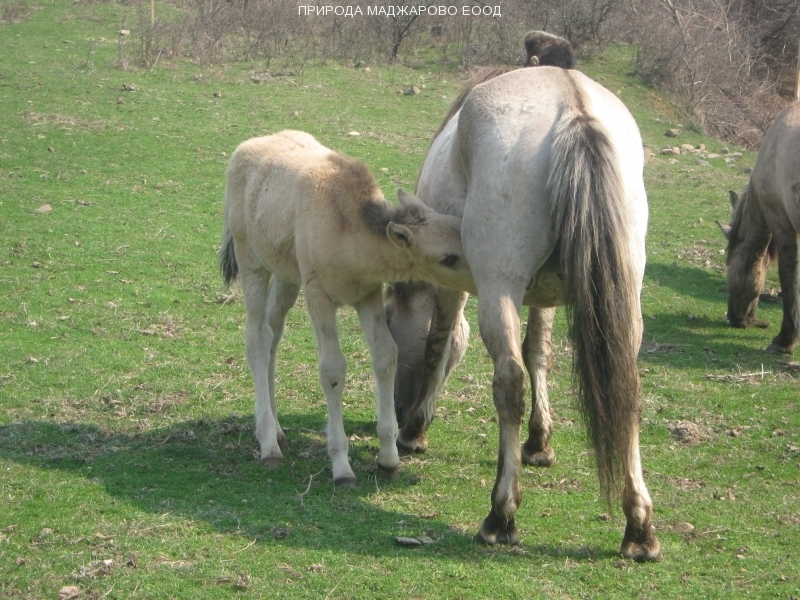 Price: 100 BGN for a guide. 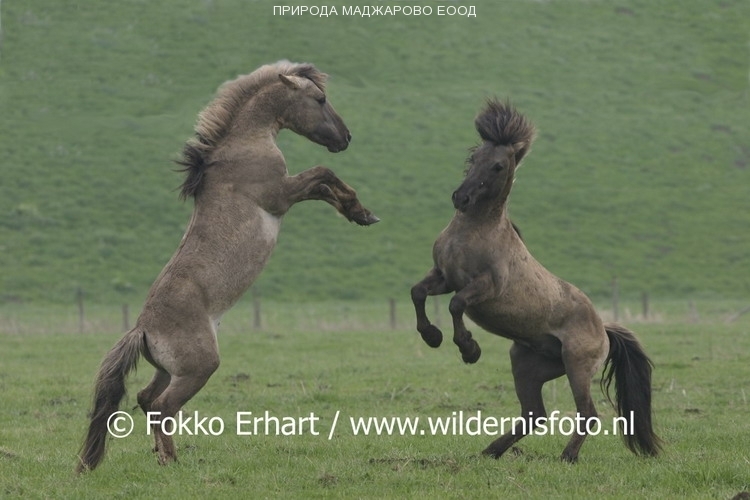 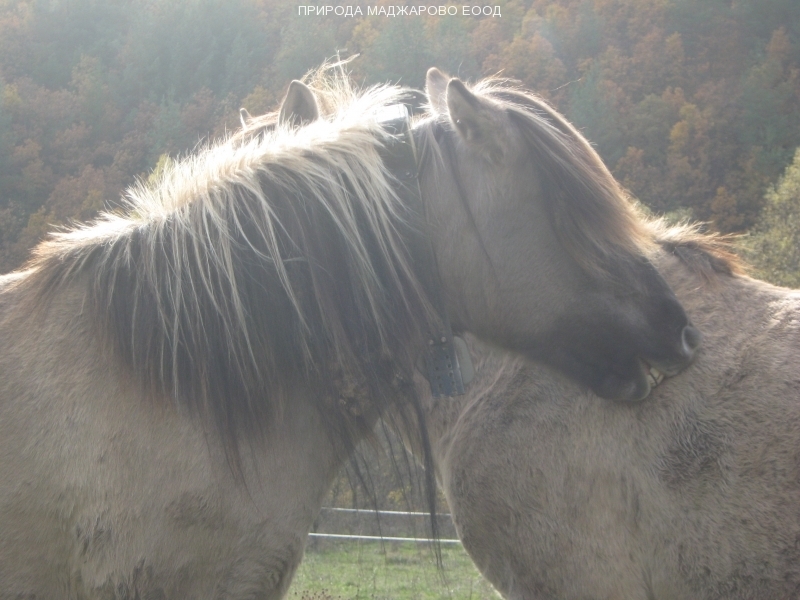 Eastern Rhodopes mountain is the only place in Bulgaria where you can see the descendants of the Eurasian wild horse – tarpan / Equus ferus /. 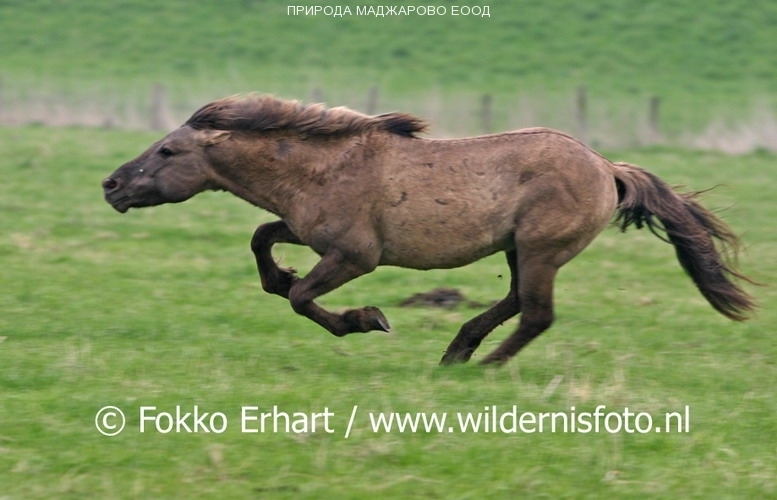 While this type of wild horse has long since disappeared from our fauna, its genes have survived in many domestic breeds of horses. 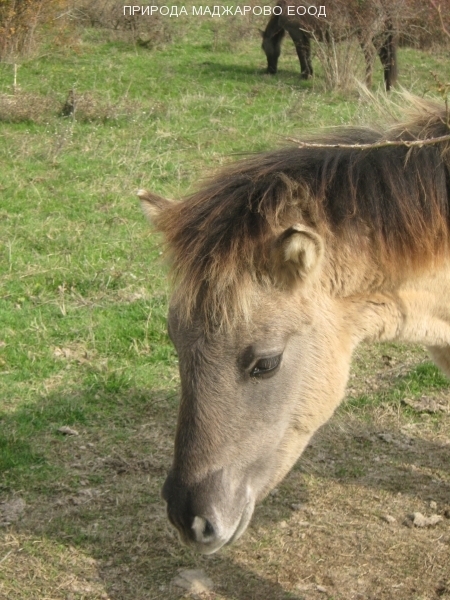 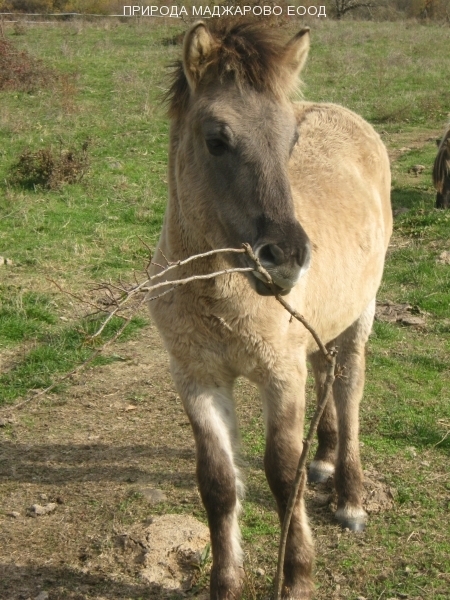 Restoration of Tarpan was made based on a selection of domestic horses that have historically been crossed with tarpans. 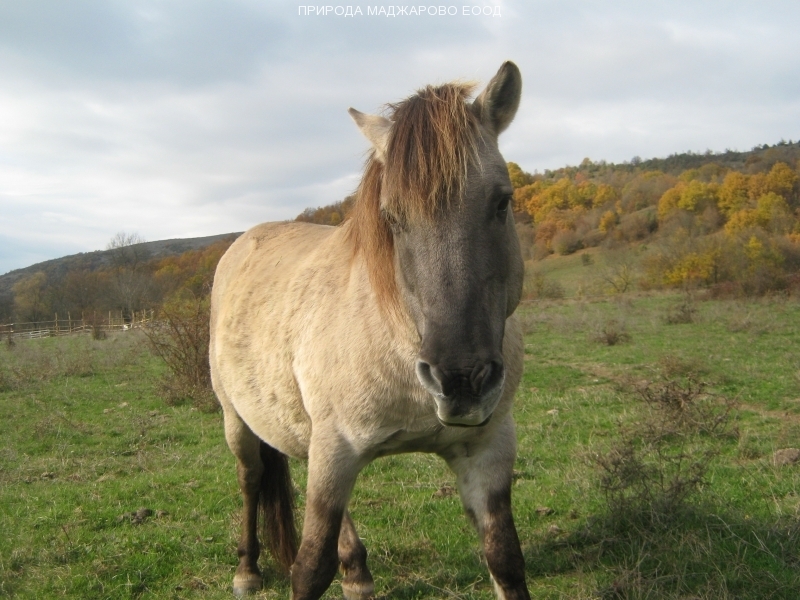 In the past tarpans lived from Spain to Scandinavia and Central Russia. 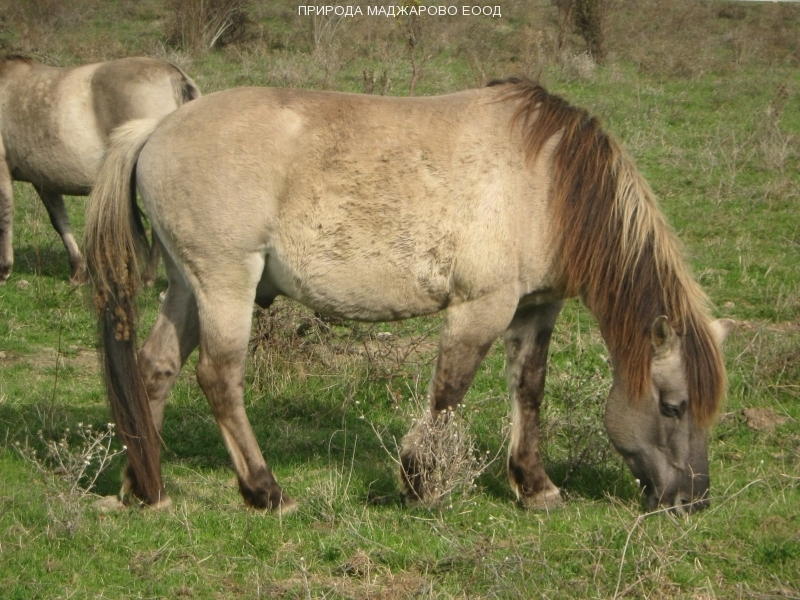 According to the literature the Tarpan also occurred in Bulgaria. 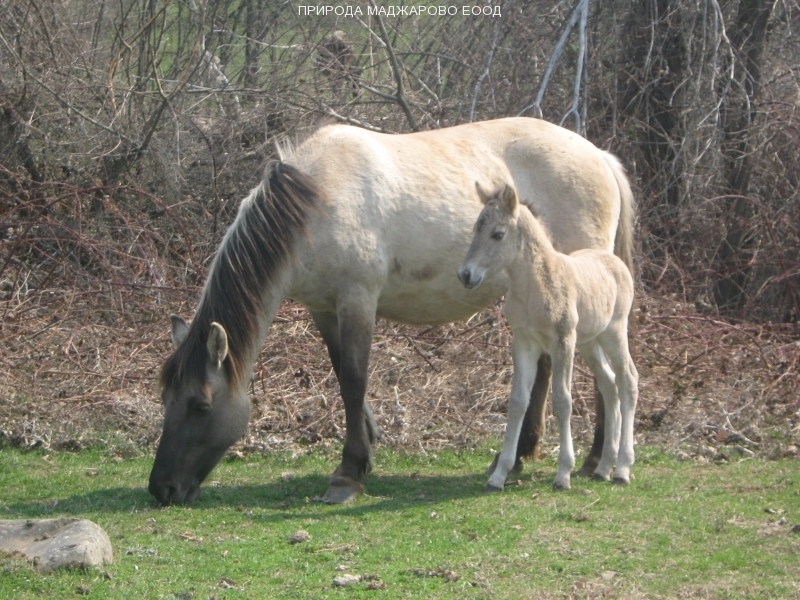 The modern history of the species in Bulgaria dates back to 2011 when from the Netherlands imported the first 12 Koniks with the help of the Bulgarian-Dutch project “New Thracian Gold”. 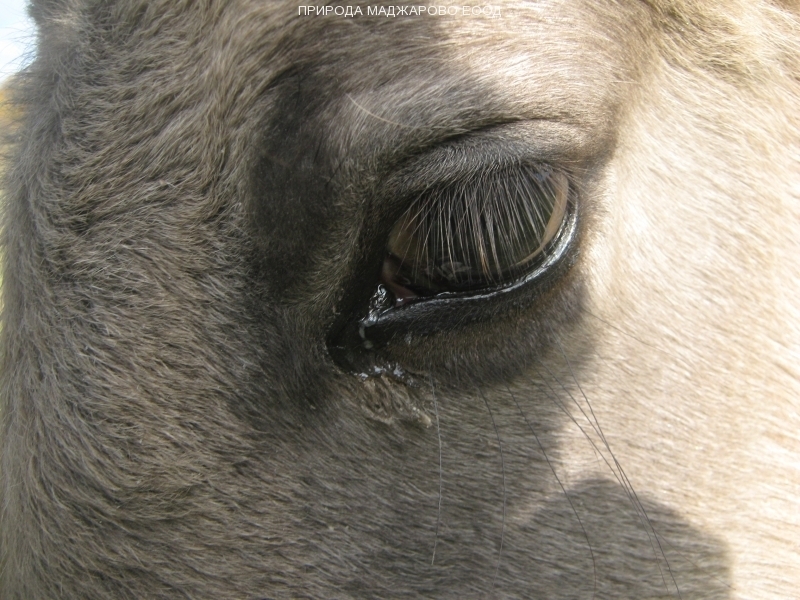 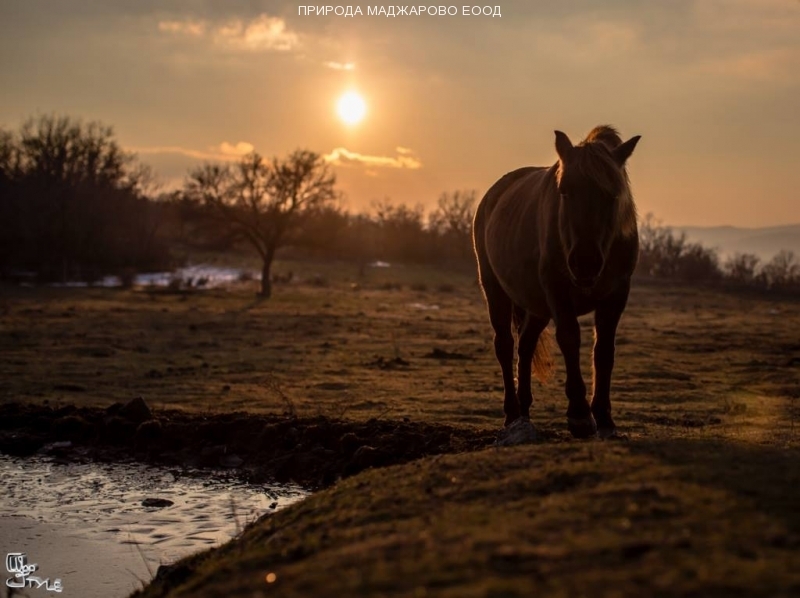 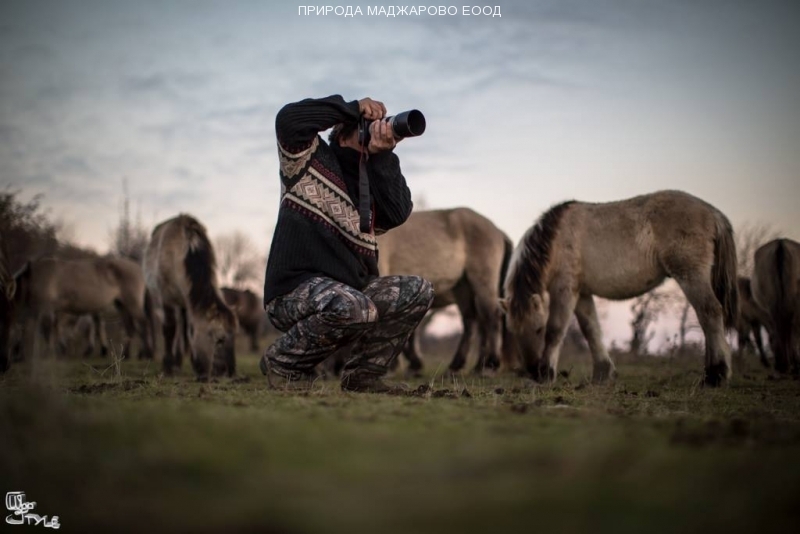 Nowadays we can assume the idea of ​​reintroduction of the Tarpan in our country as successfully implemented and in 2016 in the Eastern Rhodopes there are 70 horses living in the wild. 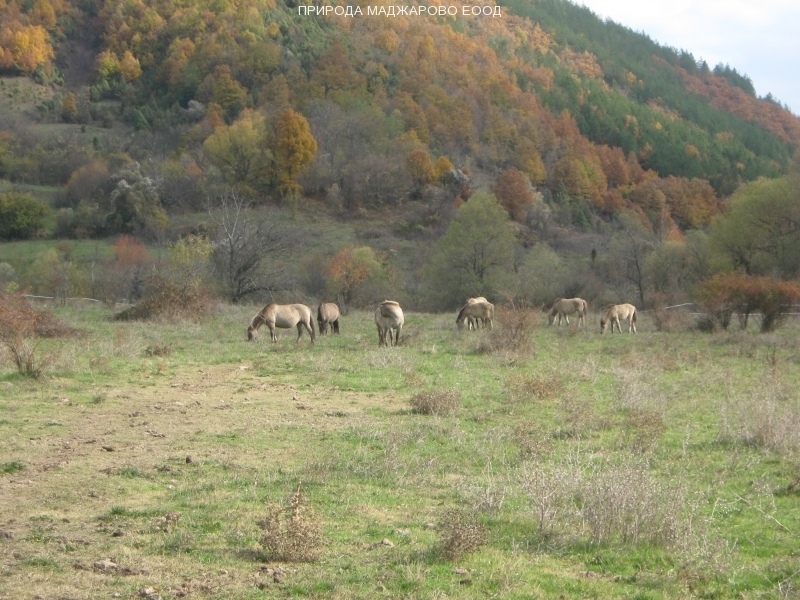 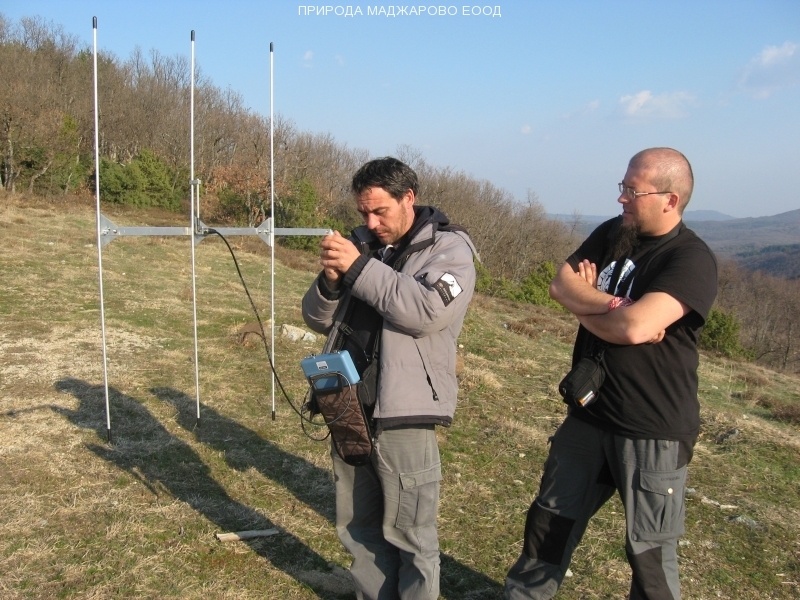 These animals survive completely on themselves among wolves, and the monitoring of the population development is secured by our friends by “Friends of the Rhodope cows” and the “Rewilding Rhodopes Foundation”. 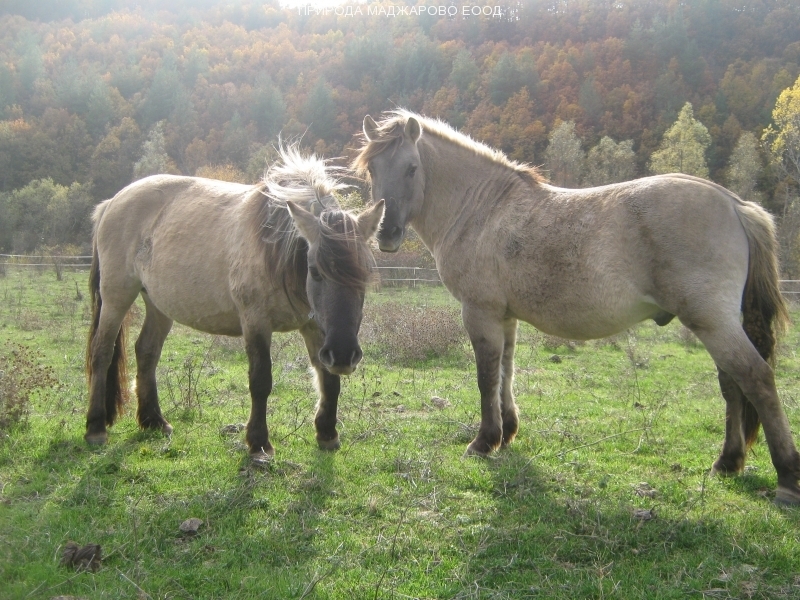 At present there are two taboons in two different places, finding them is a real adventure. 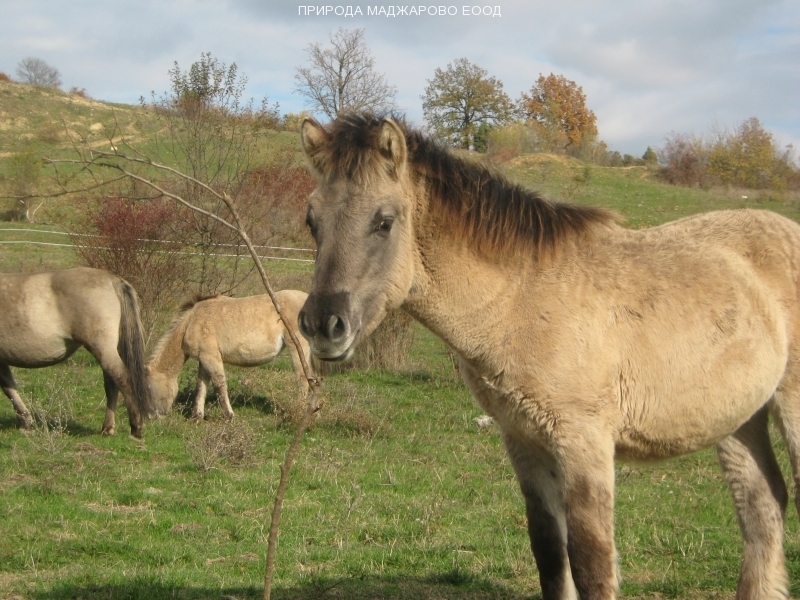 The tracking is quite long – takes about 5 hours (a return walking trip). 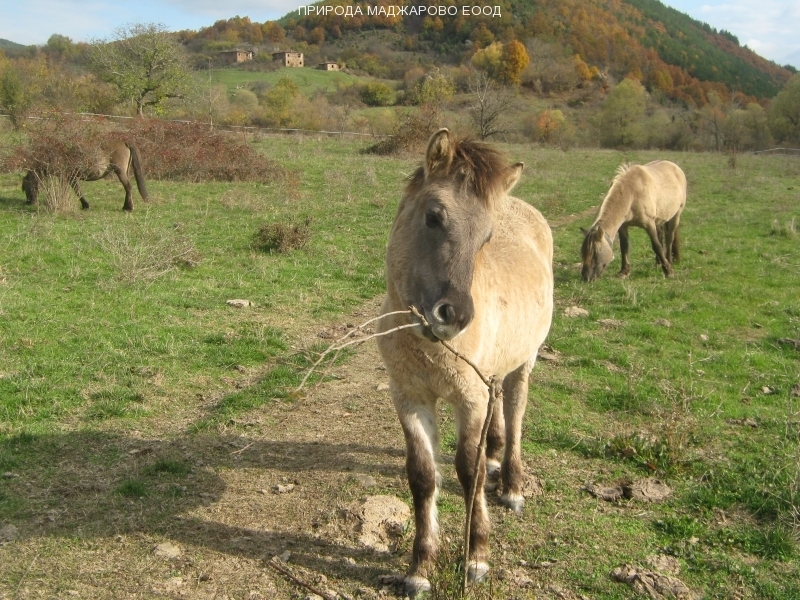 The starting point for the tour may be areas of Madzharovo and Dolno Cherkovishte (complex “Perpera”). 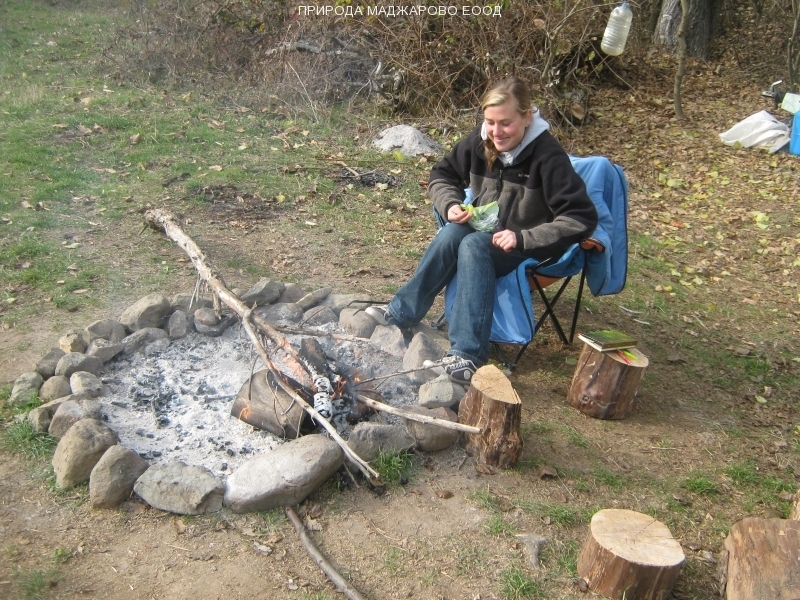 Traveling by car (bus) is about 1 hour, followed by a foot walking part. 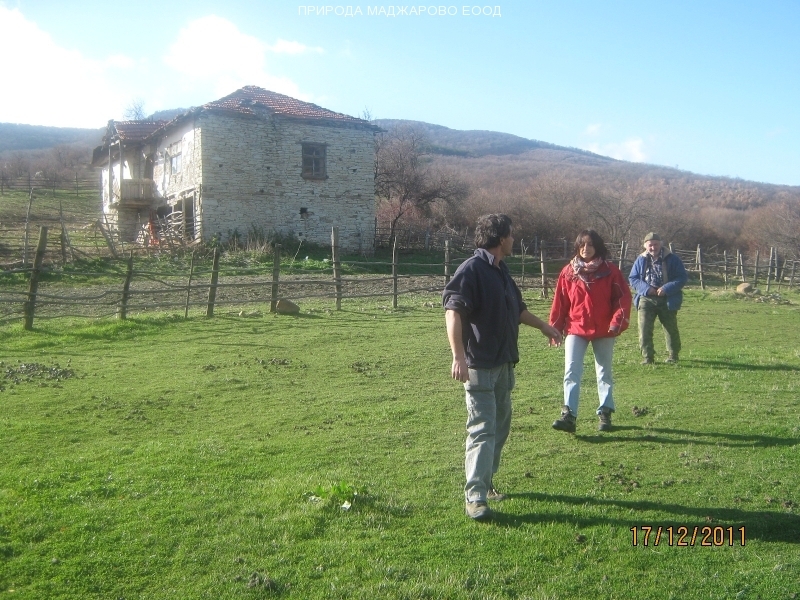 During the tour we explain the very interesting geology of the area and biodiversity. 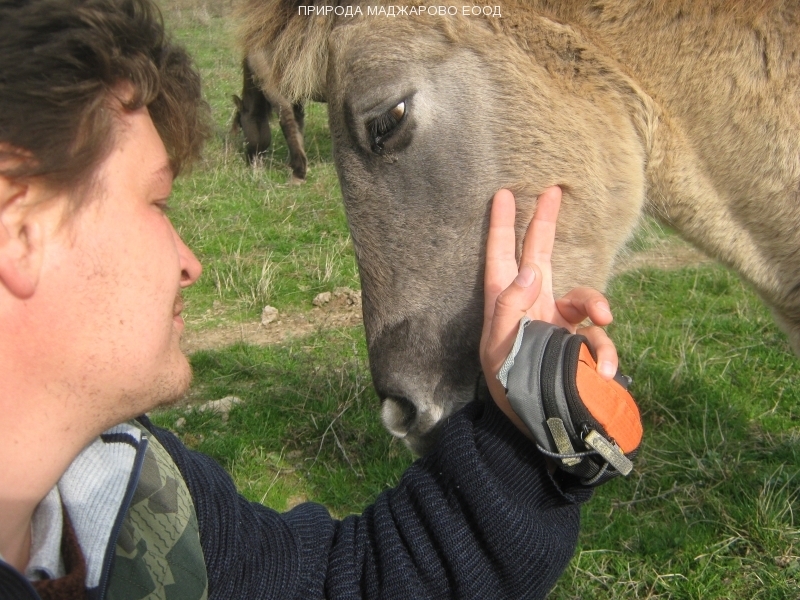 In groups of up to 7 people we can provide our transport (4WD vehicle) and the tracking could be minimized. 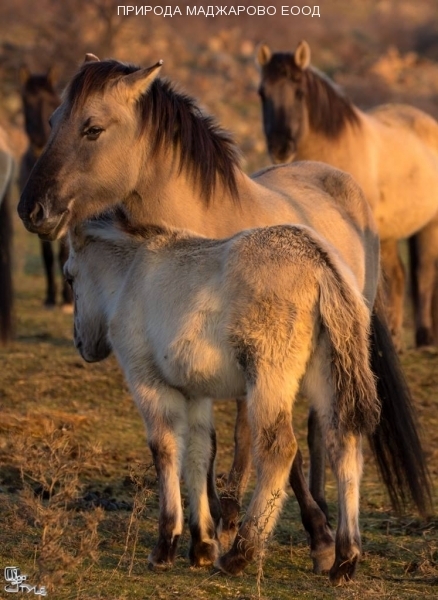 Seeing wild horses in the wild is an experience that you will remember for a lifetime! 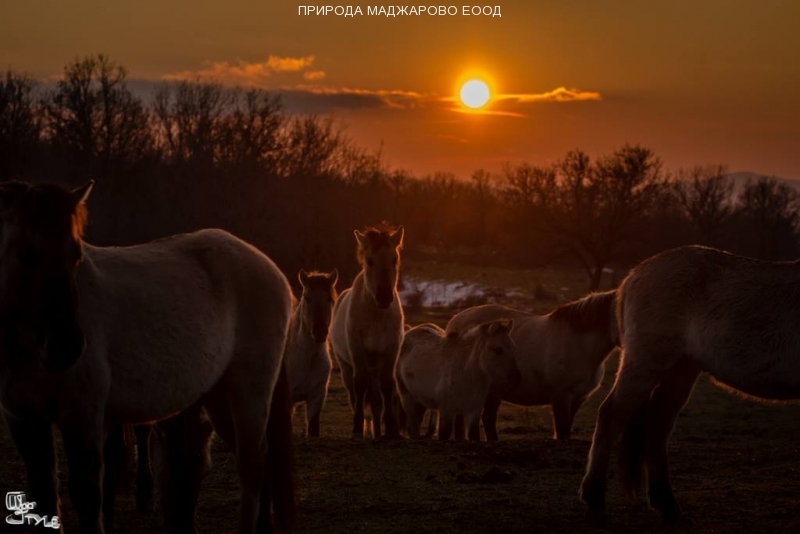 We will tell you about the lives of these very beautiful animals, their social behavior for survival among wolves and their ecological role in nature. 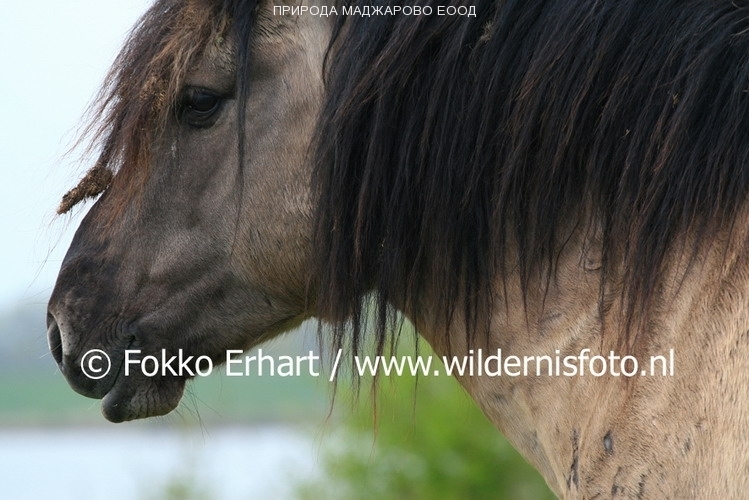 Searching for wild horses could be nicely combined with search for minerals near Studen Kladenetz reservoir, birdwatching, observation of amphibians and reptiles, feeding of the vultures, visiting historic sites or kayaking on the lake Studen kladenetz.